Your favorite season is finally here, which means it’s time to hit the hammock and soak in some sunshine. Summer is a beautiful time of year here in New York, and you want to do everything you can to enjoy it. One thing that may put a damper on your festivities is a plumbing issue. Unfortunately, with the benefits of summer also come its cons, and this sunny season can wreak havoc on your plumbing system. 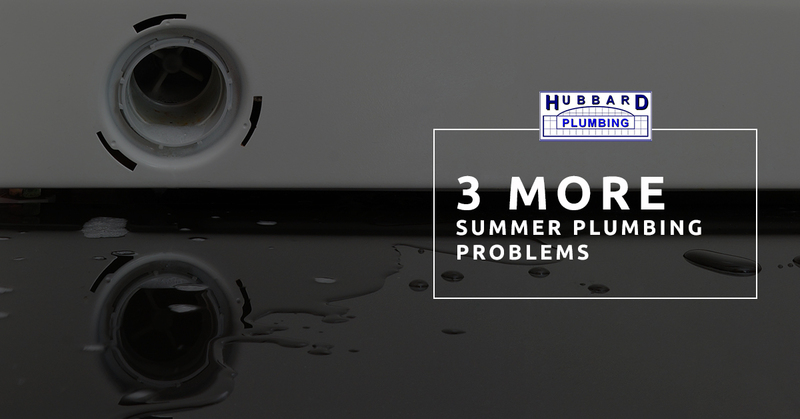 In our previous blog, we started to go over common summer plumbing problems. In this blog, we continue our list. Are you and the family taking a trip to the beach? You can anticipate having a blast with your loved ones, taking a dip, building some sand castles, and drying out in the sun. The less fun part of these types of outings? All of the sand that seems to follow you around afterward. The debris from a day at the beach that sticks to your body is not kind to your shower and often leads to a clogged shower drain. The result is you standing in four inches of water every time you try to take a shower. You can take steps towards preventing this issue by making sure to rinse off as thoroughly as possible after spending the day surfside. In addition, make sure you have a drain cover, and clean it out regularly. This should help you avoid needing professional intervention by removing the hair, dirt, sand, and other random debris from clogging your drain. Summer activities are the most fun! Whether it is a beach trip like described above or an afternoon hiking up a mountain, you’re bound to get into some exciting outdoor activities. The downside to this is that you will probably need to do way more laundry than you do in other seasons, and this can cause quite a bit of trouble for your washing machine. It’s typical for most hose leaks to happen during the summer, for example. You can help ease the burden on this essential piece of machinery by sticking to smaller loads. In addition, make sure you are checking in on the hoses regularly for leaks or cracks. Summer means more barbecues in the backyard. These are great for bringing all of your favorites together for some fun, but it also means that you’re eating more foods that simply should not go down your garbage disposal. Between watermelon rinds, chicken bones, corn cobs, and peach pits, summertime offers a cornucopia of waste that causes trouble for your hardest working kitchen appliance. Even if you are aware of these problem foods, many of your guests may not be informed of the ins and outs of disposal etiquette. Prevent a clogged garbage disposal by avoiding putting these foods down the drain, and running the water for ten seconds before and after you flip the switch. Thank you for taking the time to read this two-part blog. We hope that shedding light on some of the problems you might be facing helps you. If you need a plumber in Suffolk County, we would be thrilled to be your first choice. Contact us today to get a professional and experienced plumber to your home as soon as possible!